The whiskey sour is a well-known mixed drink containing Bourbon whiskey, lemon juice, sugar, and optionally, a dash of egg white to make it a Boston Sour. It is shaken and served either straight or over ice. The traditional garnish is half an orange slice and a maraschino cherry. A notable variant of the whiskey sour is the Ward 8, which often is based either in Bourbon or rye whiskey, with both lemon and orange juices, and grenadine syrup as the sweetener. The egg white sometimes employed in other whiskey sours is generally not included in this variation. Shake with ice. Strain into ice-filled old-fashioned glass to serve "on the rocks." 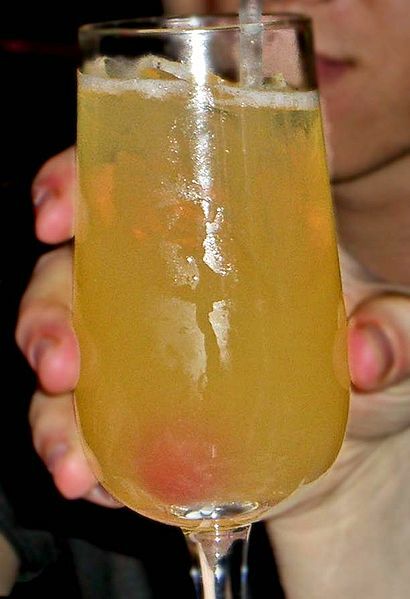 By increasing the ratio of lemon juice to Gomme one can increase the sourness of the cocktail. Too much Gomme will result in a cocktail that is too sickly and loses its original appeal - being sour.